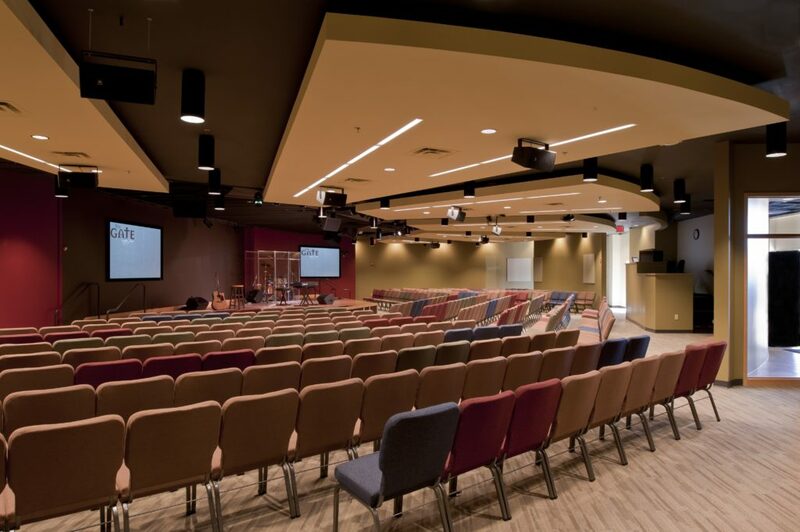 Collaborative Studio was asked to choose finishes for a former bridal store to be converted into a worship center for The Gate, a non-denominational church in Franklin, Tenn. 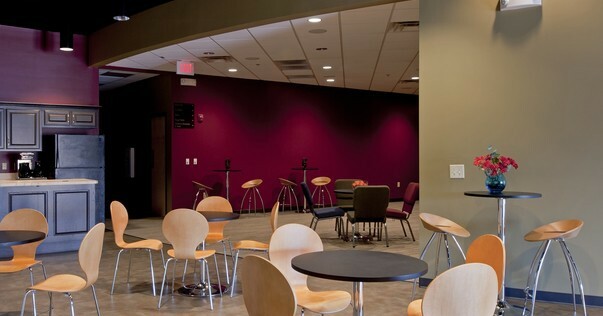 When the client described their music-centered, heartfelt worship services, and their desire for space to gather, have fellowship, and relax, Collaborative Studio suggested something more than paint to convert the low-slung retail store into something inspiring. 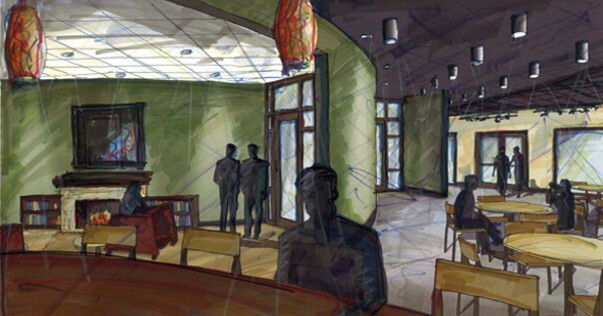 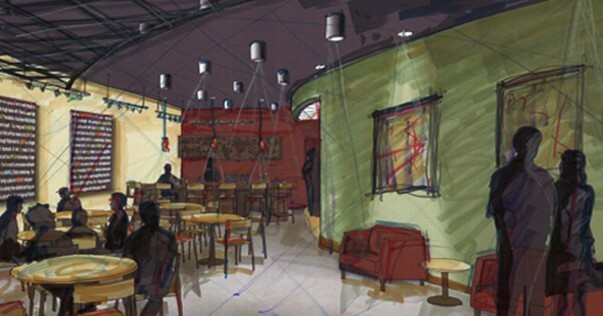 The contemporary interior uses curved forms to divide common areas from the worship center. 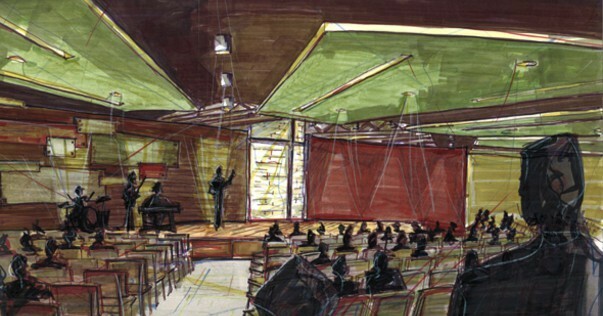 For the worship center’s 9-foot ceiling, the solution was to actually lower the ceiling by hanging acoustic baffles and paint the ceiling black, thereby tricking the eye into thinking the ceiling reaches to the heavens.